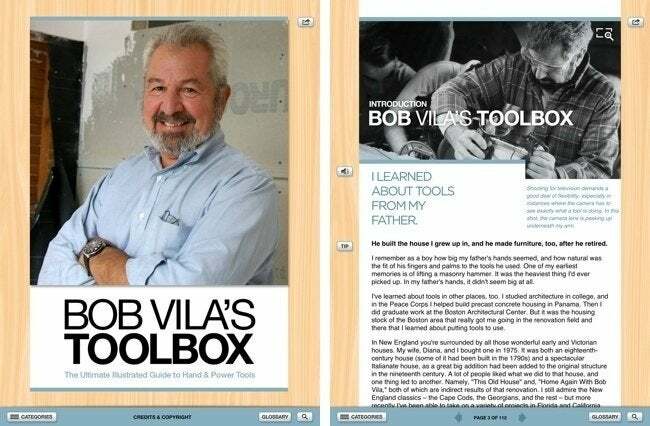 Bob Vila’s Toolbox—Now on Your iPad! 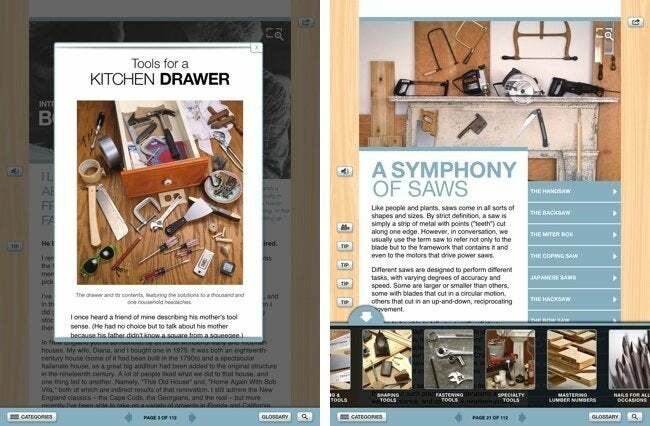 Learn the tools and tricks of the trade from Bob Vila's Toolbox, a brand new DIY home improvement app for the iPad. Months in the making and brand new to the App Store, Bob Vila’s Toolbox is your ultimate guide to the essentials of remodeling and repair. No other home improvement app includes resources of such authority about the tools favored by master craftsmen and do-it-yourselfers alike. Specially designed and built for the iPad—enriched by images, audio, and how-to video from the work site—Bob Vila’s Toolbox app teaches you the fine art of choosing and using the right tool for the job. As you gear up to tackle your next project, wouldn’t you feel more confident with Bob Vila at your side? From traditional woodworking to plumbing, tiling, plastering and electrical work, this one-of-a-kind DIY app gives you instant access to the tips and insights Bob has gathered over the course of his 30-year career working side by side with experienced contractors and artisans around the country. While some DIY apps aid in design, others deal with materials, and still others offer step-by-step tutorials, Toolbox is the first and last answer for any handy person looking to find a home improvement app focused on the tools and tricks of the building trade. Whether you’re interested in fine woodworking or large-scale renovation, whether you’d like to know more about one tool or a full workshop’s worth, you can ensure top-quality results with clear and comprehensible, easy to understand guidance from America’s best-known expert on homes. “Working with tools has something of the same appeal of old houses and their individual histories. They both give me a strong and satisfying sense of continuity,” Bob says. An extension of his television career, Bob Vila’s Toolbox ushers a veteran’s wisdom and experience into the next generation. But while many DIY apps may be available, there is only one Bob Vila. Visit iTunes now and download Bob Vila’s Toolbox today!